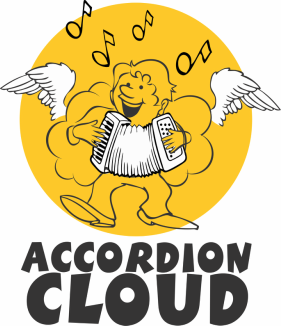 These systems are now available as kits for you to fit to your accordion by yourself. Any competent person with a familiarity of the insides of an accordion should be able to fit this wonderful system. You will need to be confident in using some basic tools. There are no instructions provided with the systems as they come already wired. 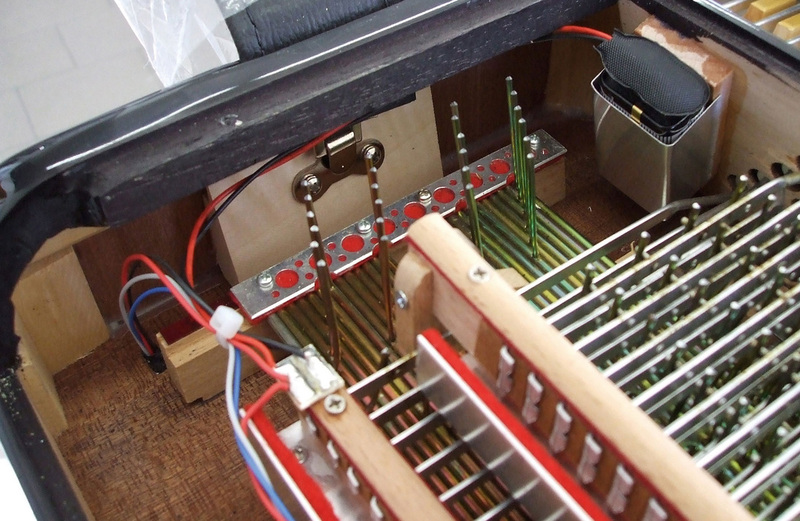 it may be necessary to adjust the lengths of the wires to suit your accordion and then re- joining them. See pictures and further details below. 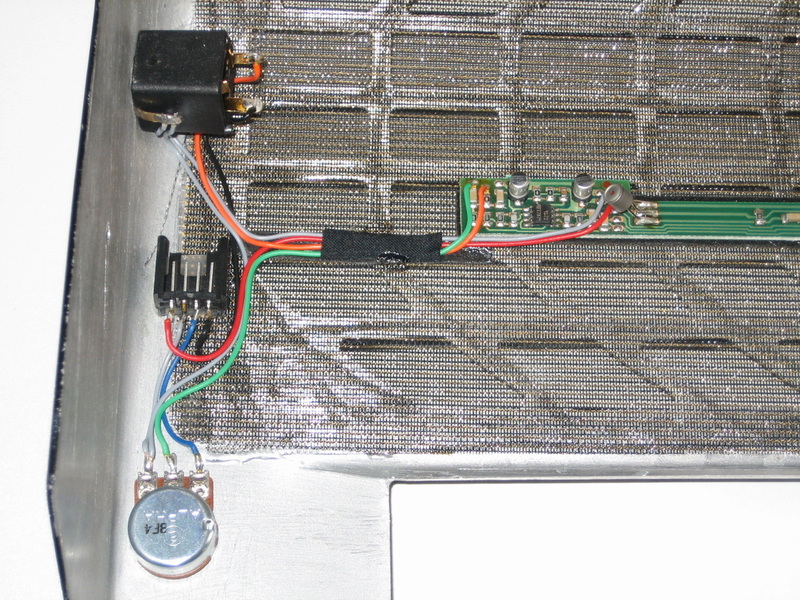 The system has a long board that should be installed under the grill of the right side of the accordion using the supplied sticky tabs. The volume controls for both right and left sides should be installed in the grill on the right, usually at the top and bottom positions as the player would view them. 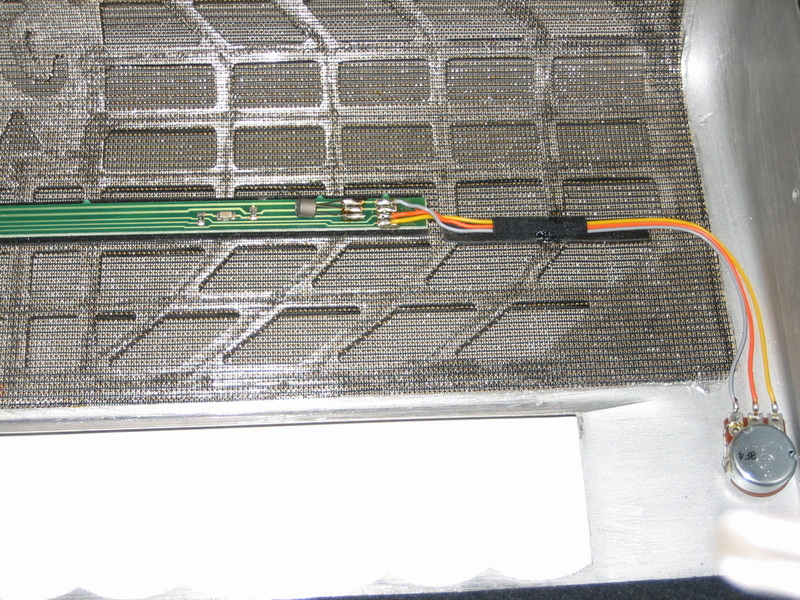 The jack socket should be installed in the grill, usually on the bottom so the external cable doesn't interfere. 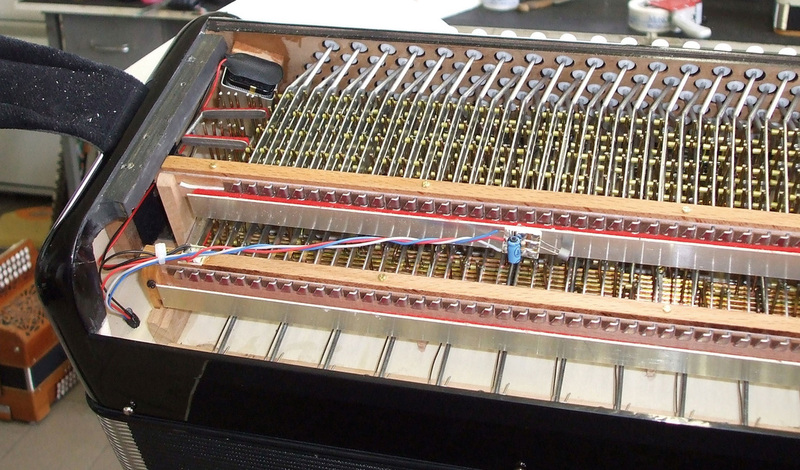 The wires need to be fed through the inside of the accordion by drilling a small hole, feeding through the cable and taping to the insides of the bellows, allowing for the movement of the bellows. You must remember to seal properly around the holes in both sides of the accordion where you make the holes for the wires. 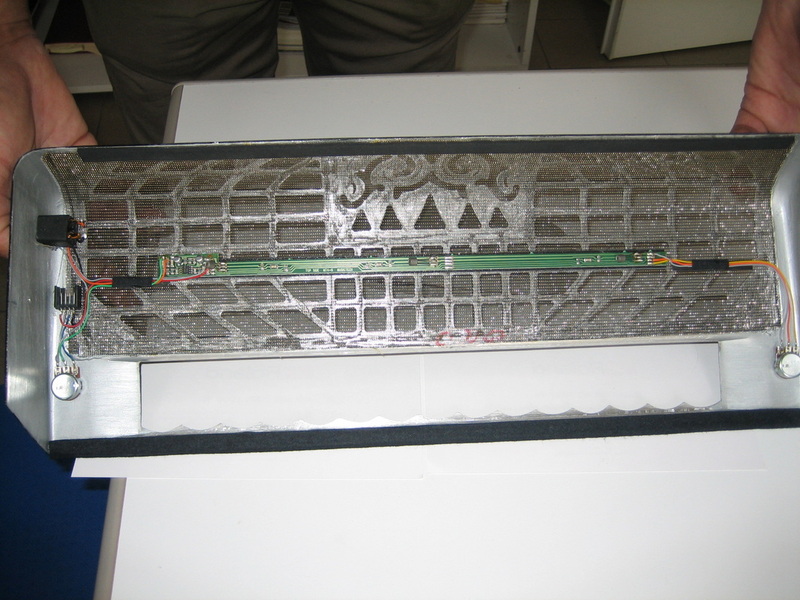 You don't want air leaks that will compromise the bellows compression. You can use bees wax or some quick drying super glue. 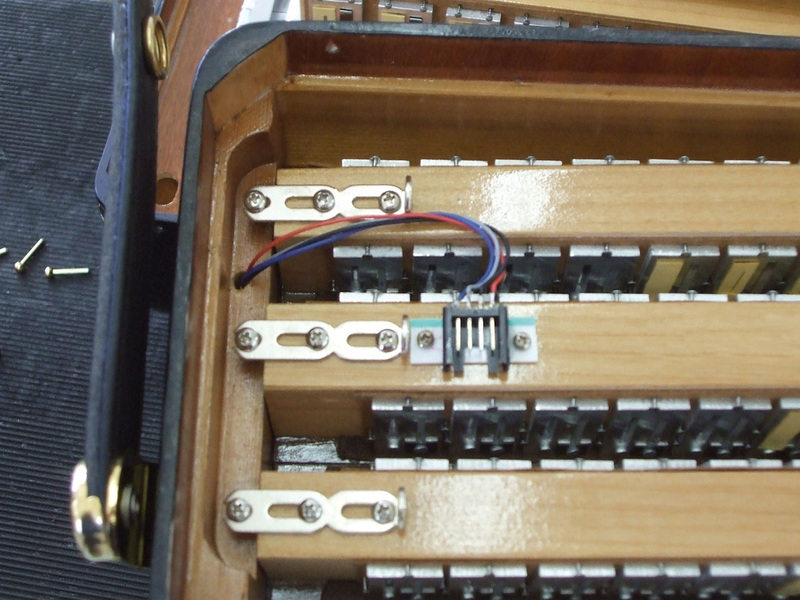 The battery is installed inside the left side of the accordion, as is the left hand mic. 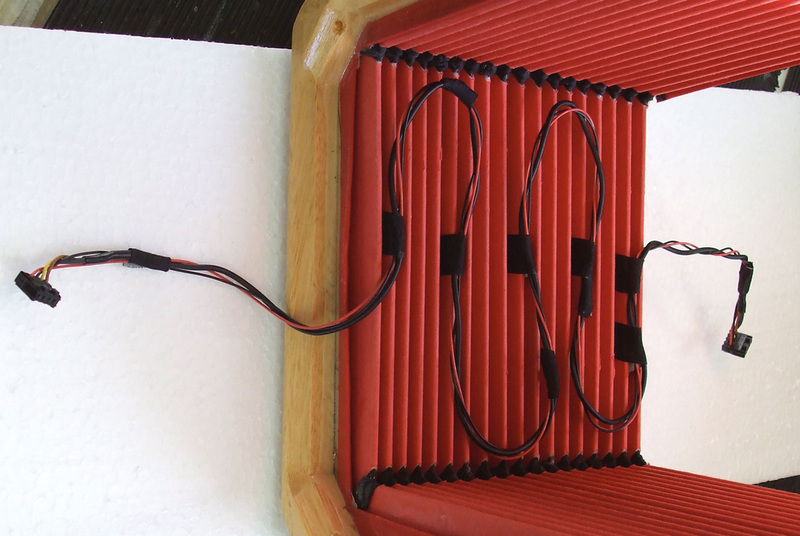 A standard 9v battery will usually last around 6 months to a year on these systems. Subject to usage. These systems are fantastic. Low feedback (if any). Great natural, non directional sound. The choice of the true professional.